Unleash your inner fashionista by wearing the Alyce 6575 strapless evening dress. With a fully sequin bodice and full length chiffon skirt, this ensemble is a surefire head-turner. 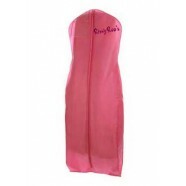 Make your mark at your next gala affiar by adorning this fabulous garment from Alyce Paris.